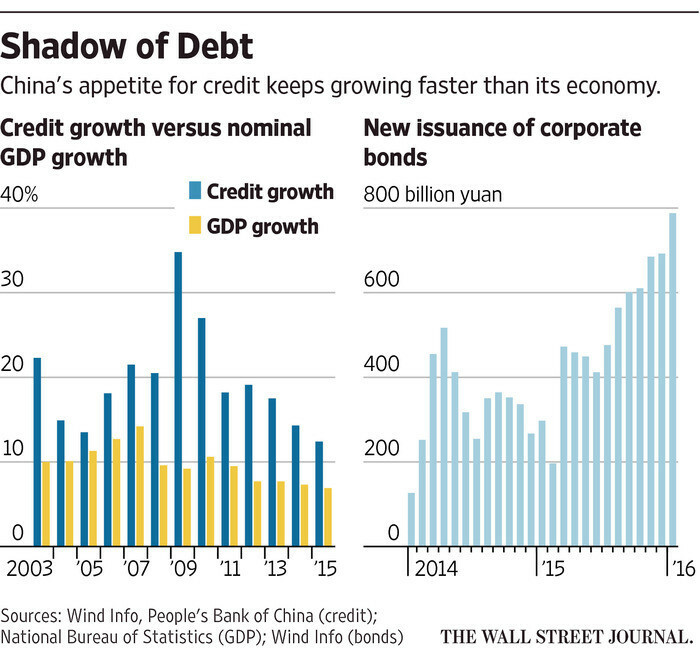 China’s high and rising corporate debt problem and how best to address it has received much attention recently. Indeed, corporate debt in China has risen to about 160 percent of GDP, which is very high compared to other, especially developing, countries. The IMF’s April 2016 Global Financial Stability Report looked at the issue from the viewpoint of commercial banks and resulting vulnerabilities. Its analysis suggests that the share of commercial banks’ loans to corporates that could potentially be at risk has been rising fast and, although currently at a manageable level, needs to be addressed with urgency in order to avoid serious problems down the road. Indeed the success in addressing this issue is important for China’s economic transition and, given its size and growing global integration, the world’s economy at large. Encouragingly, the authorities have announced that they are focusing on the problems of excessive corporate debt and the resulting burden on banks and, indeed, the whole economy. Media have reported on two specific techniques to tackle the country’s debt problems: (1) converting Non-Performing Loans (“NPLs”) into equity and (2) securitizing NPLs (that is repackaging bank loans into marketable securities) and selling them. The IMF staff’s international experience provides some useful lessons on these techniques. This blog, and the associated note , summarizes our findings. The key message is that while such techniques can play a role in addressing these problems and have been used successfully by other countries, they are not comprehensive solutions by themselves. Unless they are carefully designed and part of a sound overall framework, they could actually worsen the problem, for example, by allowing “zombie” firms (non-viable firms that are still operating) to keep going. Banks generally also don’t have the expertise to run or restructure a business and debt-equity conversions could create conflicts of interest—banks may keep lending to a now-related party. -Debt-equity conversions should convert debt only of viable firms in the context of operational restructuring plans for the firms (which may include changing management), at fair value, and with banks holding the equity for a limited period only. -NPL securitization should encompass a diversified pool of NPLs, with banks keeping some residual financial interest (“skin in the game”), under a legal and operational framework that will allow owners of distressed assets to force operational restructuring of firms and obtain the best value from those assets. Such a comprehensive plan would help allocate resources—labor, capital, and credit—to more productive uses. And it would support, together with the right mix of macroeconomic policies and structural reforms, China’s broader economic rebalancing towards a more sustainable growth model.